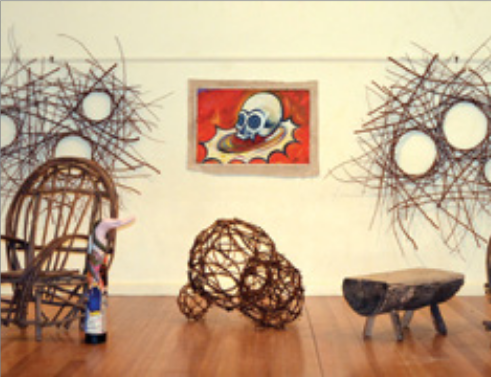 It’s the Castlemaine State Festival time again, and like two years ago (when the Newstead Art Salon’s exhibition was titled ‘Spadeworks’), Newstead’s artists are holding a collective exhibition at the Community Centre. Over 100 works were exhibited in the last show, which was extremely successful, so come along during the festival to enjoy an extraordinary diversity of talent and creative artworks. The formal opening of the exhibition will be on Sunday 19th March, at 2pm. It will be opened by local identities and all round good guys, former Councilor and Mayor Michael Redden and Nick Hudson. 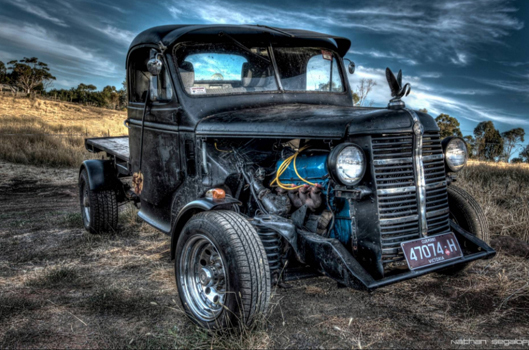 Through December 2016 and into the new year, we have an exhibition featuring the creative work of four central Victorian photographers: Rob Watson, Natalie Coombes, Nathan Segaloff and Aden Brown. 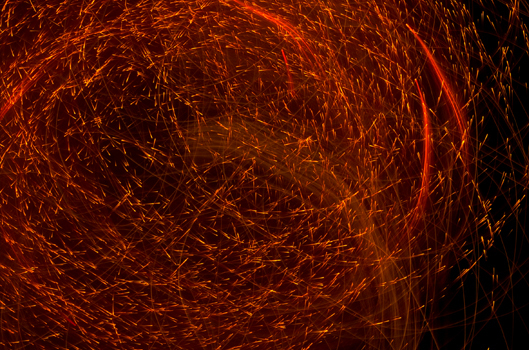 Each have been exploring diverse photographic techniques and concepts, resulting in unique and impressive images. 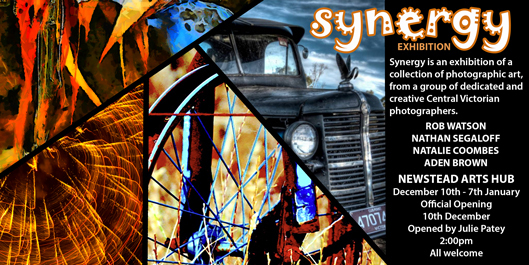 The exhibition – entitled ‘Synergy‘ – will be opened by the Arts Hub’s own Julie Patey at 2pm on Saturday 10th December, and you are warmly invited. The exhibition will be open 10am-5pm, Friday-Sunday from 10th December – 7th January, excluding the Sundays of Xmas Day and New Years Day. 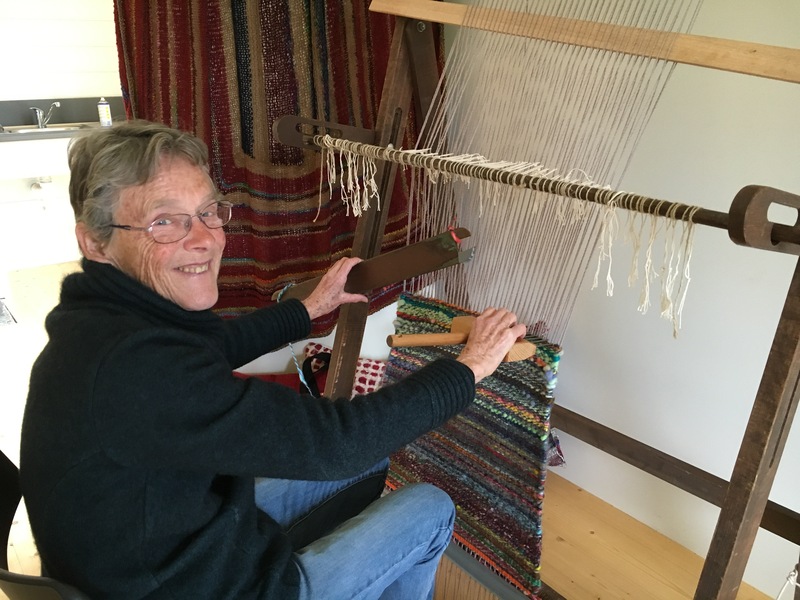 During September, the Newstead Spinners and Weavers are transforming the gallery with colour, movement and activity. 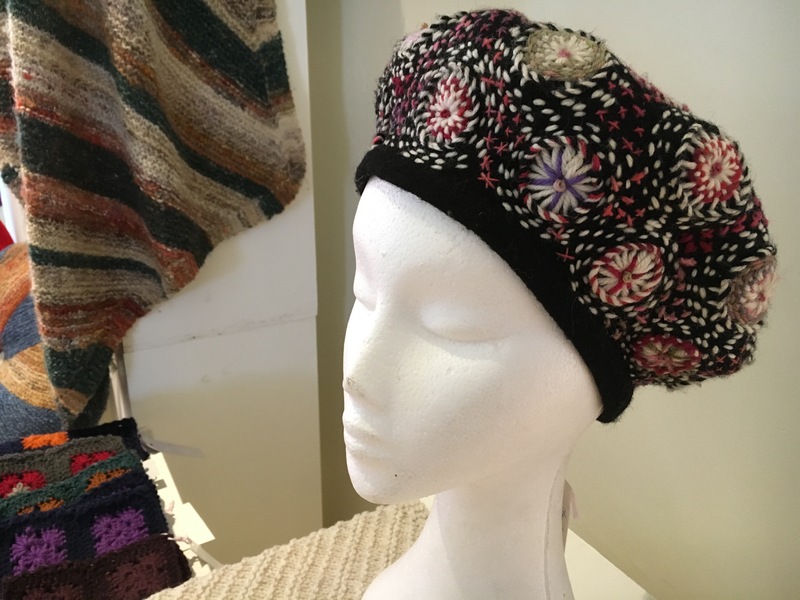 Every room in the old railway building is filled with beautiful work, including large shawls, jumpers, skeins of wool and a whole room full of felted hats. There are items for sale, but mostly the members simply enjoy displaying their talents and techniques, and talking to visitors. 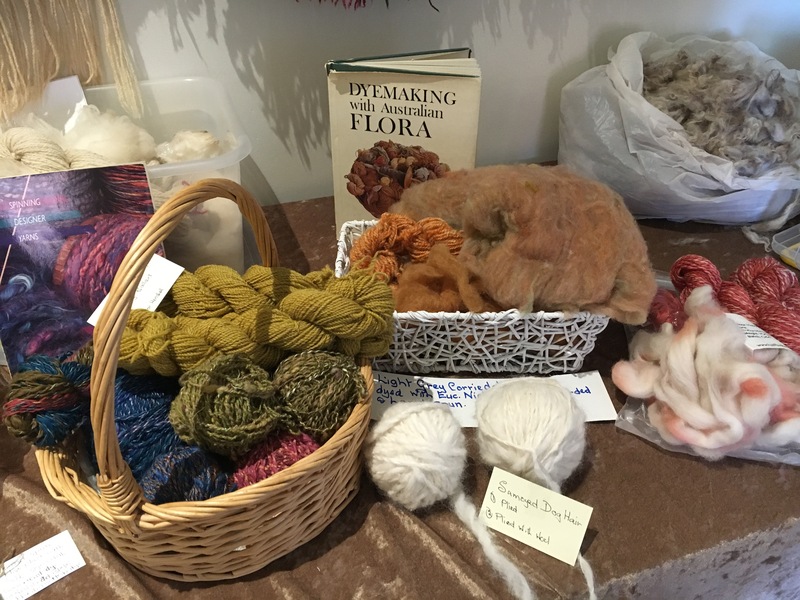 The felting displays exquisite forms of natural fibres combined with leaves and bark implants. 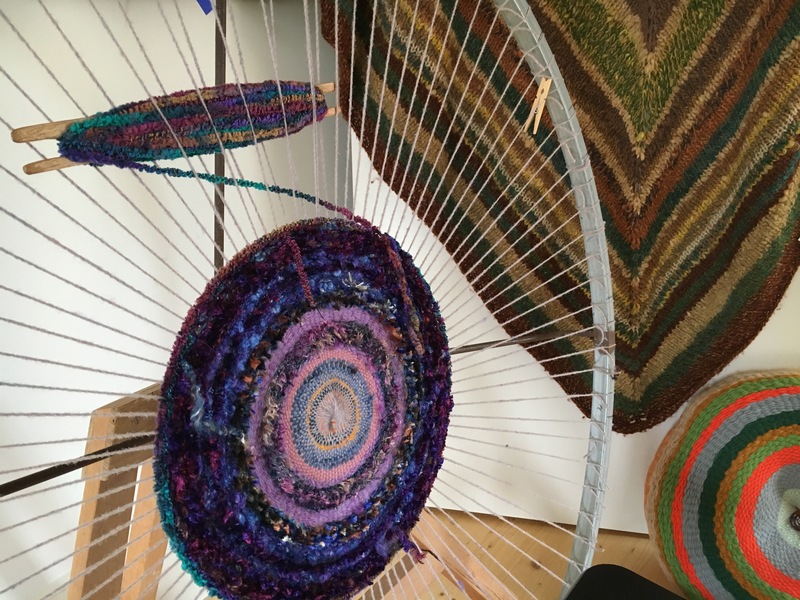 Spinning wheels show how wool is transformed from raw to finished thread, and a loom allows you to observe a large weaving being created. It is fascinating to see both the raw material and final object. The air is fun-filled, with members very busy with demonstrations and visitors all day. There is so much local talent on display, and I hope you didn’t miss out on seeing their magic. 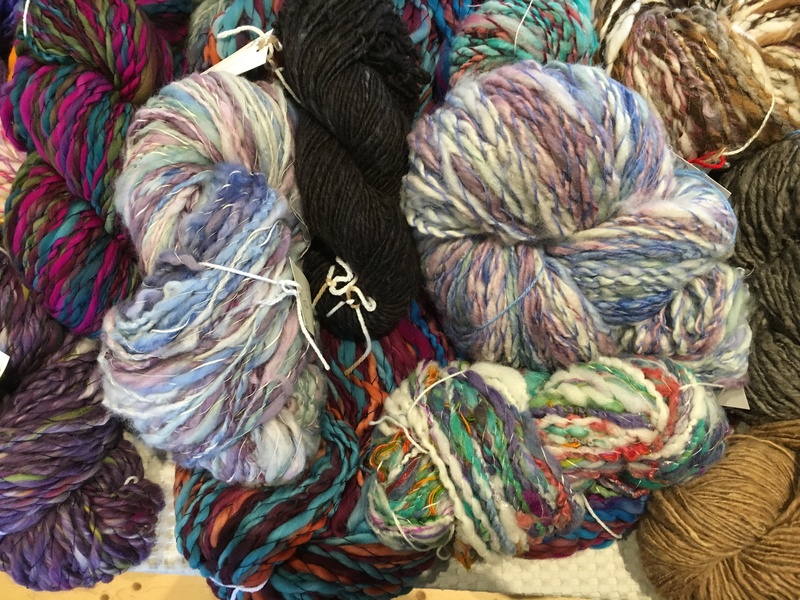 ‘Fibre to Finished Product’ is open Tuesdays and weekends until 27th September, 10am – 4pm. Featuring works by Julie Patey, Sally Roadknight, Sandra Tobias, and Georgina Duckett, the Reiteration exhibition had its grand opening yesterday. Friends, fellow artists and locals gathered to hear Genevieve Barlow officially welcome everyone and open the show. The exhibition will be open Fri-Sun 11am-4pm, until the 28th Feb.
An exciting group exhibition of four regional artists in the newly renovated Newstead Railway Station in central Victoria. This exhibition explores the process of artmaking through the use of pattern, colour, shape and form. It echoes an important connection to the unique community and landscape of central Victoria. Artists include Georgina Duckett Julie Patey, Sally Roadknight and Sandra Tobias, living and based in the central Victoria. These professional artists have all had successful careers in the arts; exhibiting internationally and nationally, teaching, project managing and coordinating community art spaces for community arts and festivals. 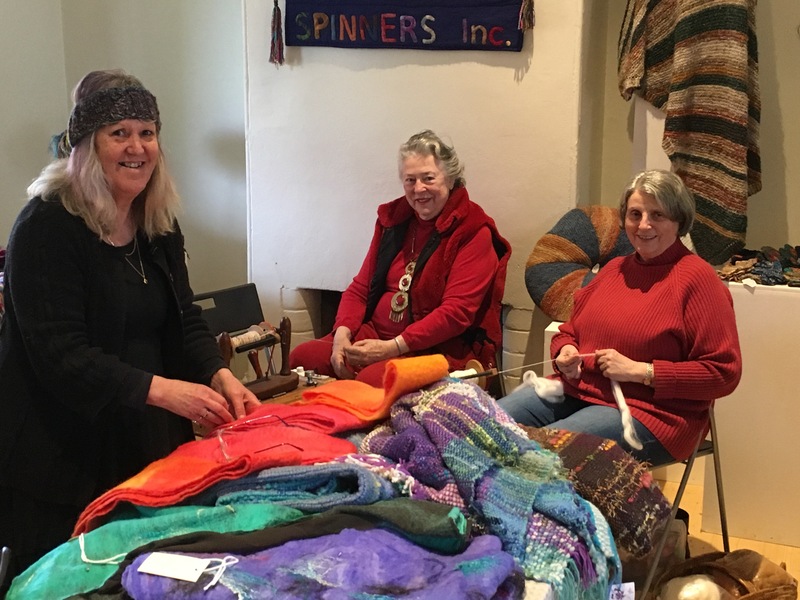 The diverse range of work includes mixed media, textiles, prints, bound books, collages and paintings, all with a connection to community and environment. 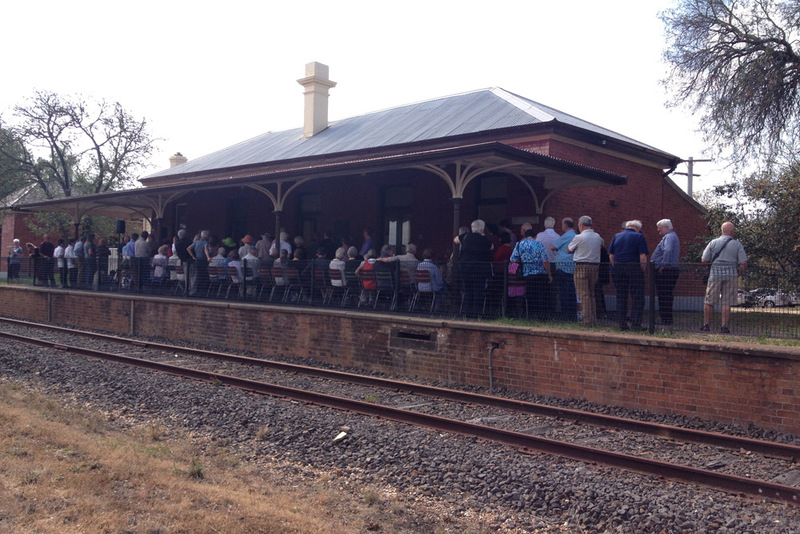 The Newstead Railway Station, originally built in 1880s, has been recently refurbished by VicTrack and was made available to the community in 2015. 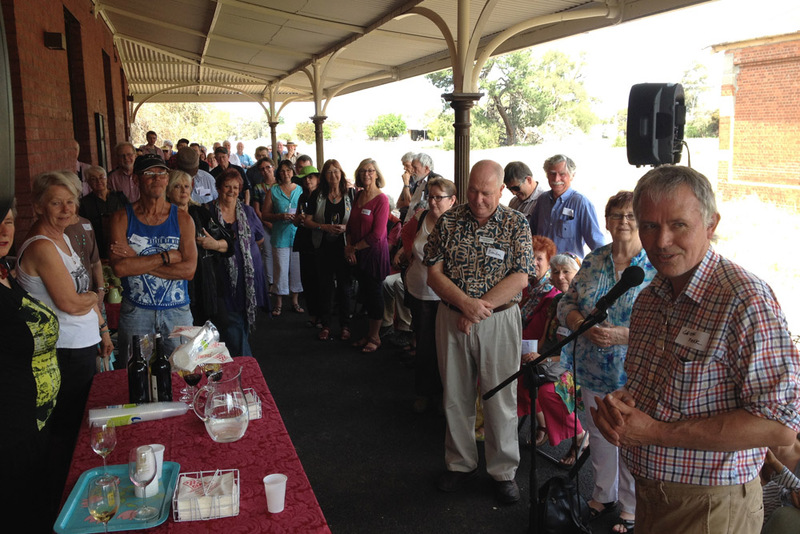 Since then the gallery has held exhibitions and workshops and is now known as the Newstead Railway Arts Hub. It is exciting to see the first exhibition for 2016 kick start with this unique exhibition showcasing mid-career regional artists. 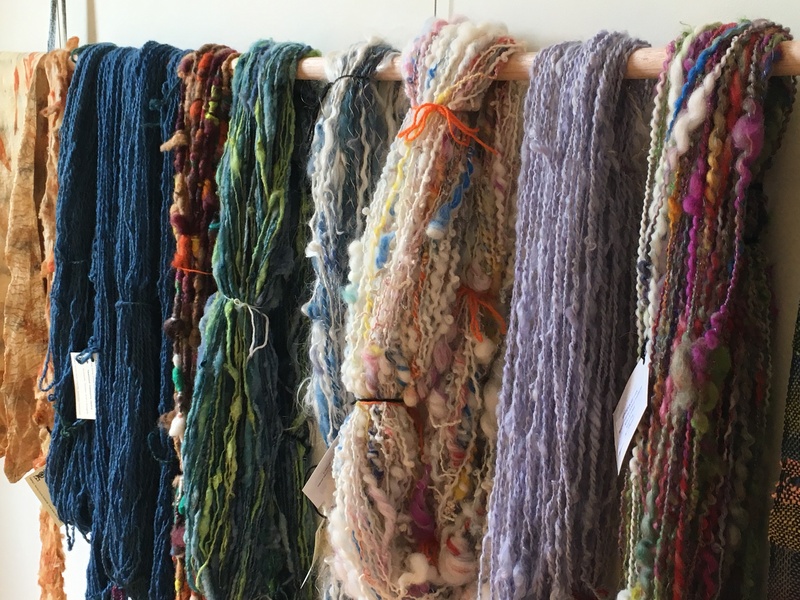 The Arts Hub provides a shared space for artists to exhibit their work, and involve the local community in workshops and artists talks. 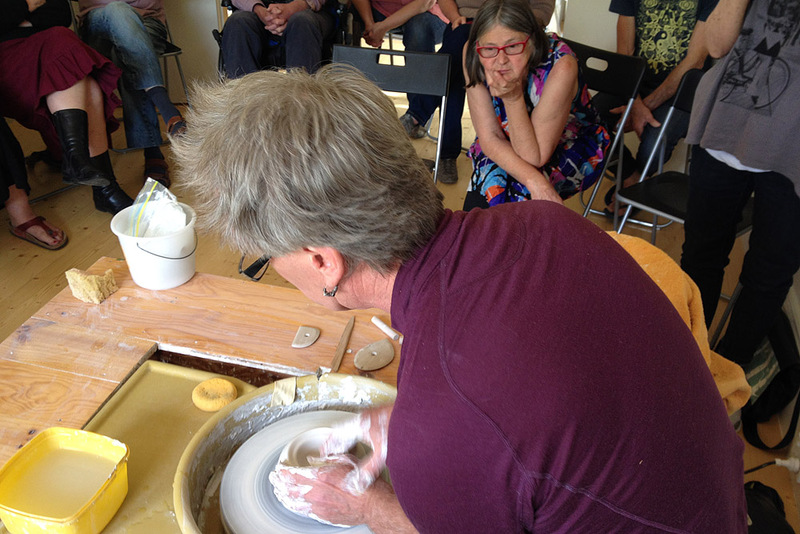 As the finale of this year’s Rocket Science program, master ceramicist Phil Elson was invited to give a demonstration of his skills. It was a perfect opportunity to use the workshop room at the Arts Hub. 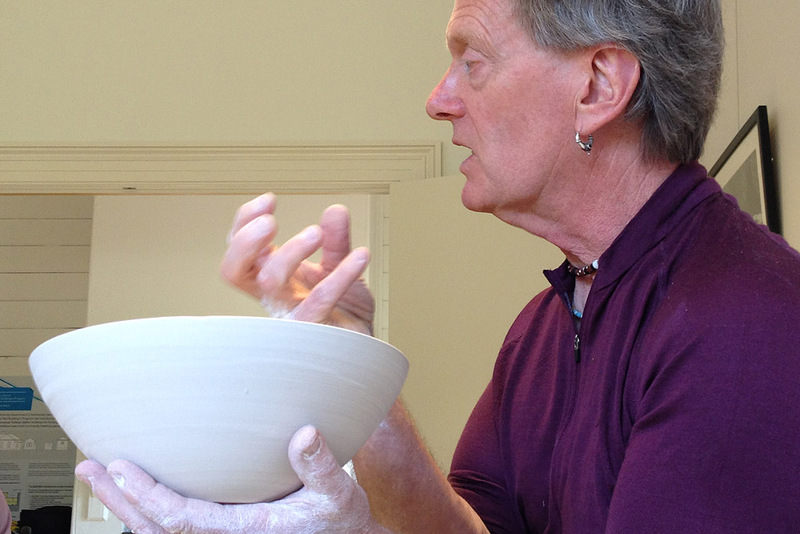 Phil works more or less exclusively in porcelain, a particularly difficult material to throw in. He makes it look so easy! 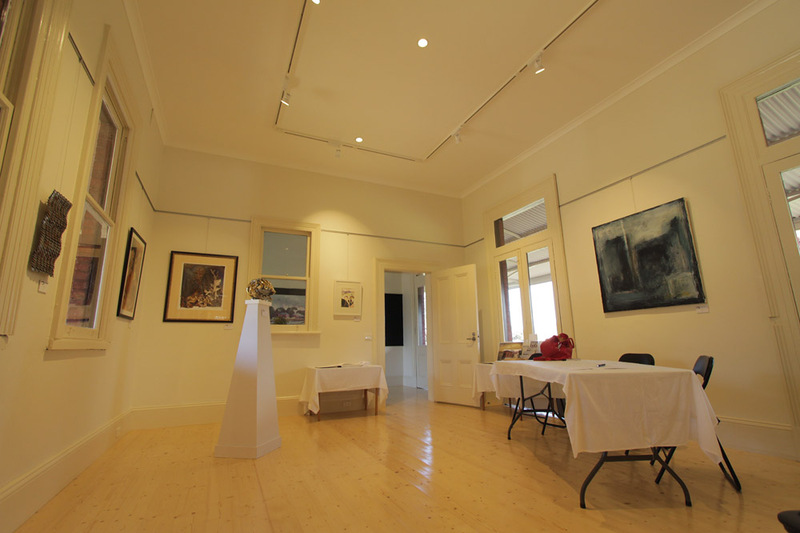 The organisers invite registrations for the summer exhibition, embracing a wide range of mediums and styles that showcase the rich and divers arts community of the Goldfields region. This exhibition follows on from the successful Market Art winter exhibition which displayed works of more than 70 Artists and had a total sales of over $11.000, The Market Art exhibitions are a great opportunity for artists who participate to gain excellent exposure and opportunities to promote and sell artworks. If you would like to be a part of the Market Art exhibition, please complete a registration form and return it to Castlemaine Market Building, 44 Mostyn Street Castlemaine 3450 by Monday 8 November 2015. The inspiring exhibition of photographic works by local naturalist Alan ‘Curly’ Hartup has just concluded. The exhibition opened a few weeks ago, on a fine Saturday afternoon. 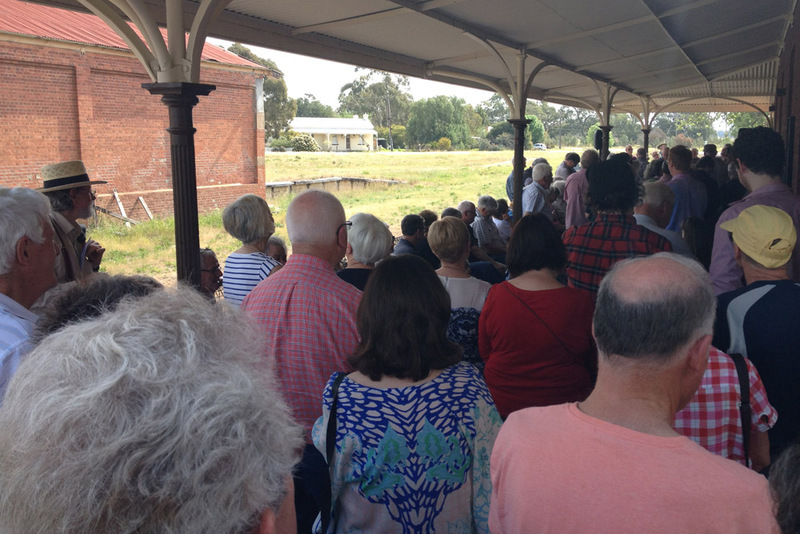 The platform was jam-packed – locals turned out, bolstered by what seemed to be a gathering of members of the Hartup family from as far afield as NSW and Melbourne. Speakers described Curly’s passion and skill with his cameras in solving the challenges of nature photography in an era prior to digital technology. What a special way of honoring the man and his dedication to wildlife photography. Reminiscences and stories told of a respected local and skilled photographer. 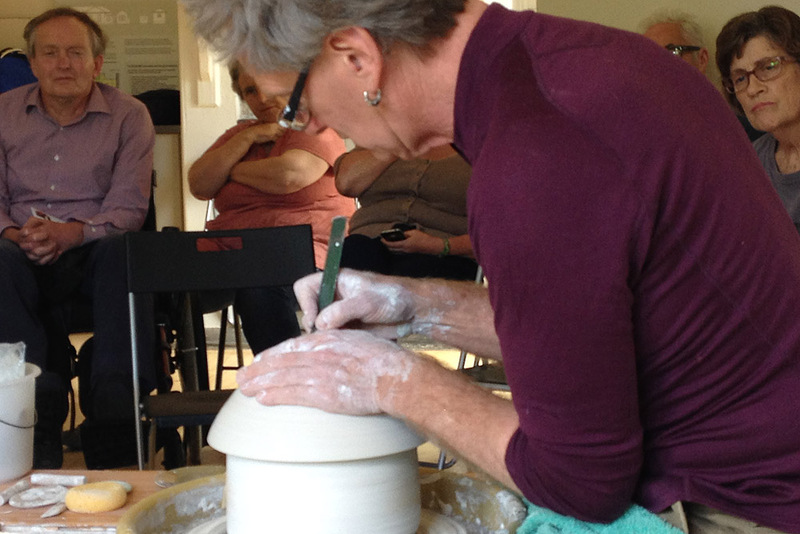 Phil Elson will be giving a demonstration and talk at the Arts Hub on Saturday 24th of October at 3.30pm. 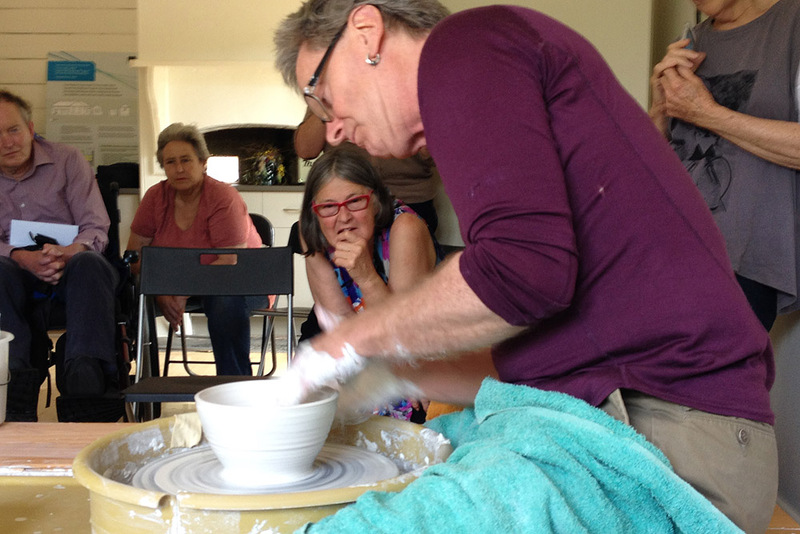 This is an opportunity to see a master potter at work. 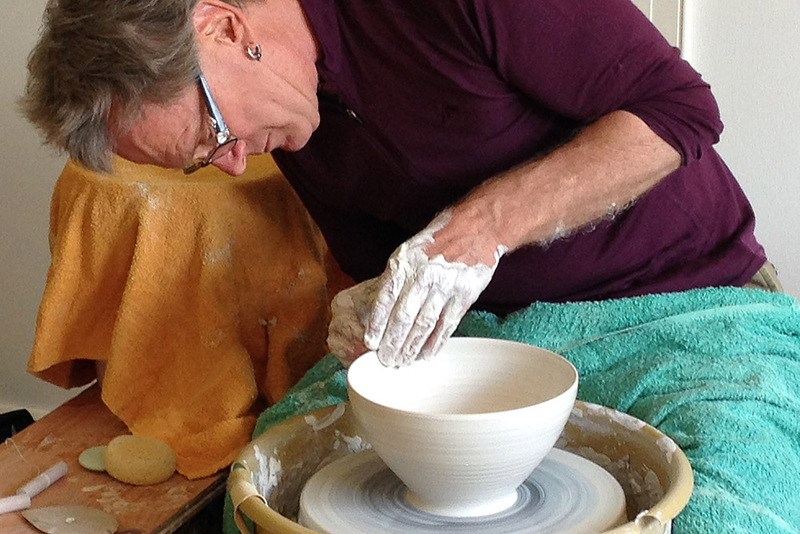 Phil will be bringing his pottery wheel along, so we will get a chance to watch him throw pots and talk about his craft and art. 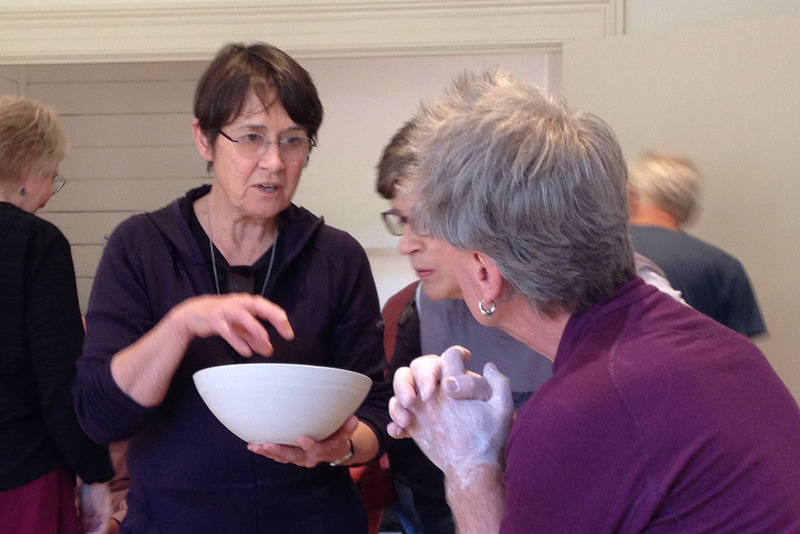 This is an opportunity to see lumps of clay be transformed into elegant forms – alchemy at work. Phil Elson’s ceramics practice over the past 30 years has been strongly informed by the ceramics of South East Asia; in particular the art of Japan, China and Korea. 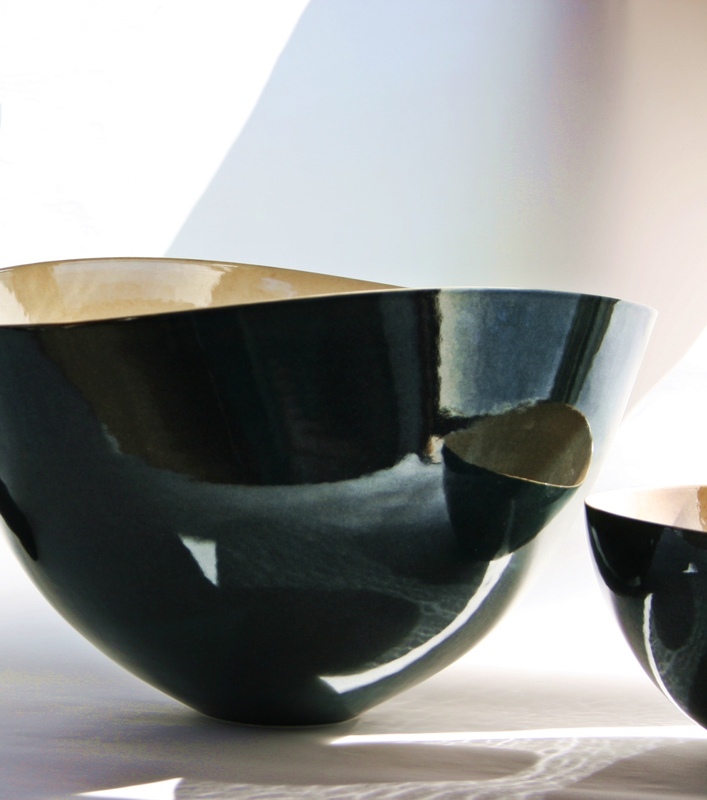 His practice specializes in the thrown form with a particular emphasis on the use of fine translucent porcelain. 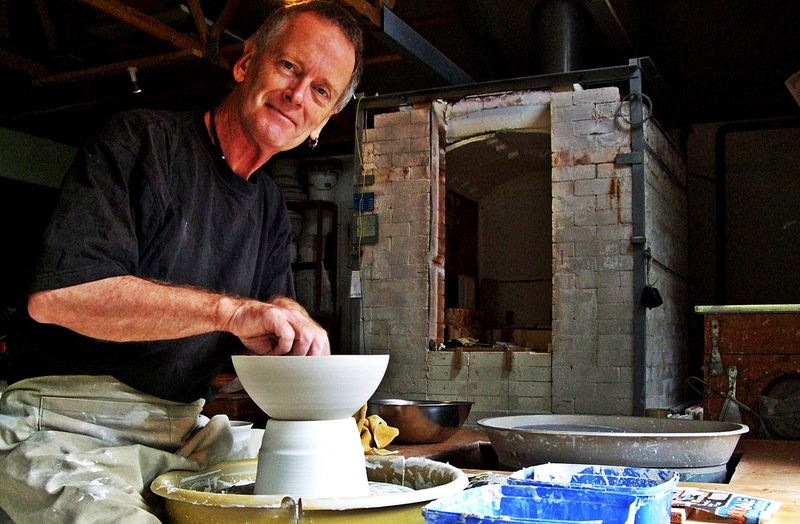 In 2008 Phil was awarded an Australia Council studio residency in Barcelona where he traveled to the Basque country to investigate the traditional ceramics of northern Spain. In more recent times he has traveled to Berlin and then further travel took him into the rural areas of India and Nepal. 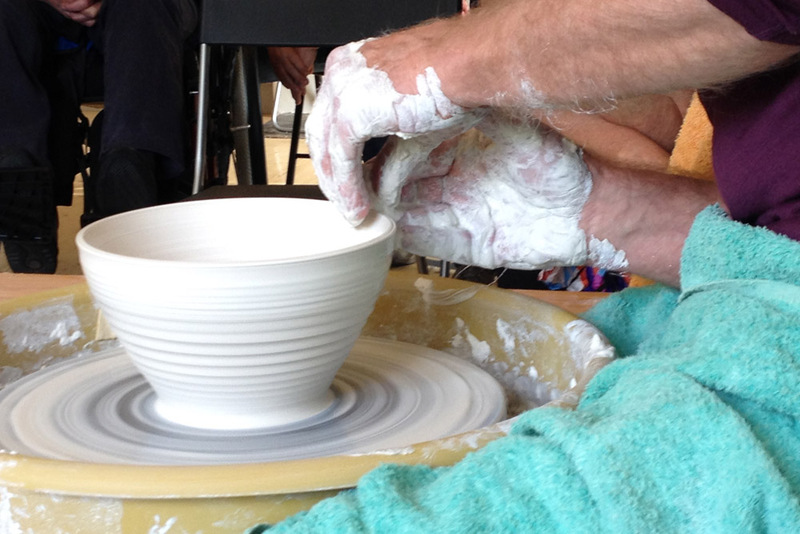 Phil has given a number a glaze and throwing workshops both locally and around the country. 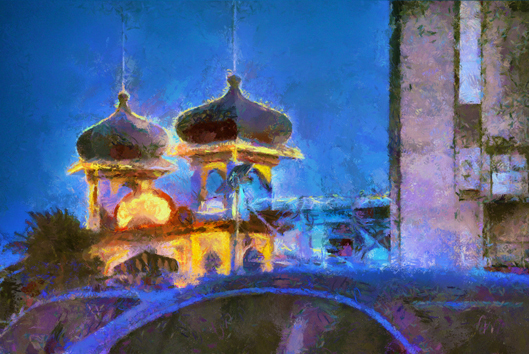 Phil’s work has been represented in a number of galleries and exhibitions nationally and in Virginia USA. He is highly regarded for his fine throwing in porcelain and his exquisite glazes. 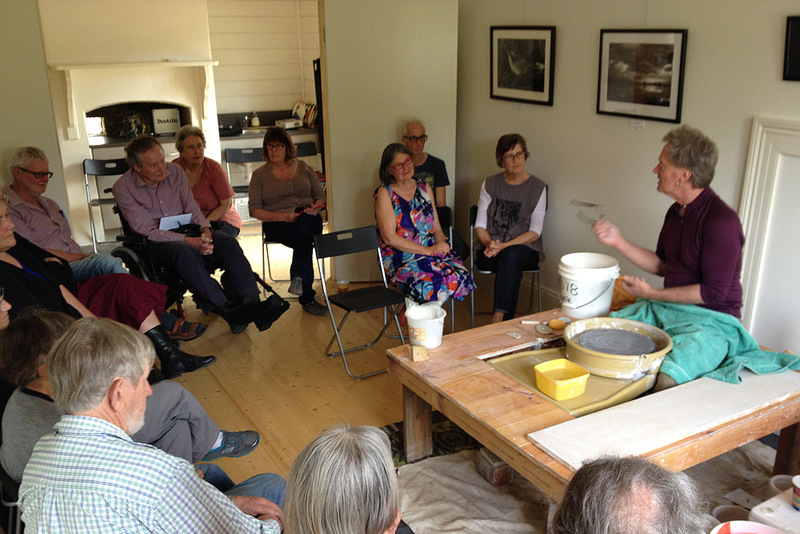 Phil works from his studio in the central Victorian town of Castlemaine. 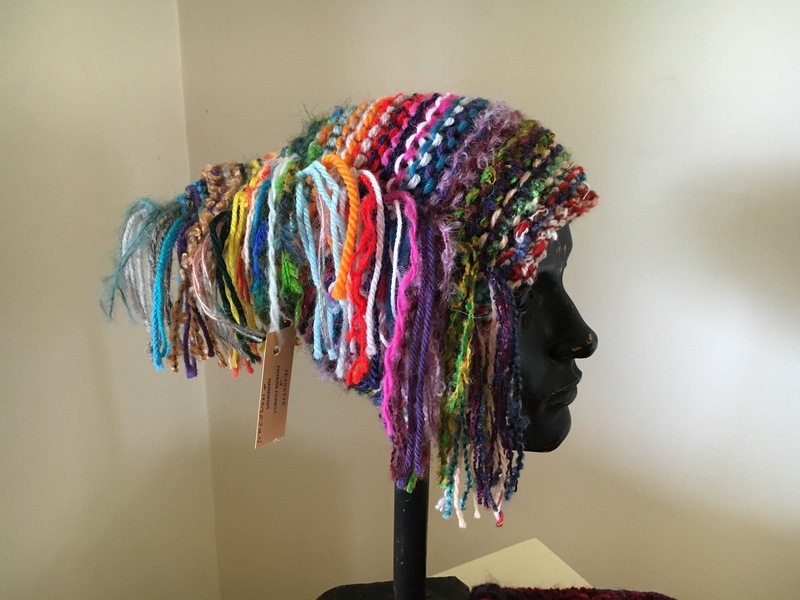 After an encouragingly well-attended and successful opening event, the Newstead Arts Hub has now finished its inaugural exhibition, which put on display the high standard of work from our local artists. Those of us assisting with the exhibition frequently heard superlatives from visitors; a combination of delight at the restored building and being impressed with the quality of art on display. 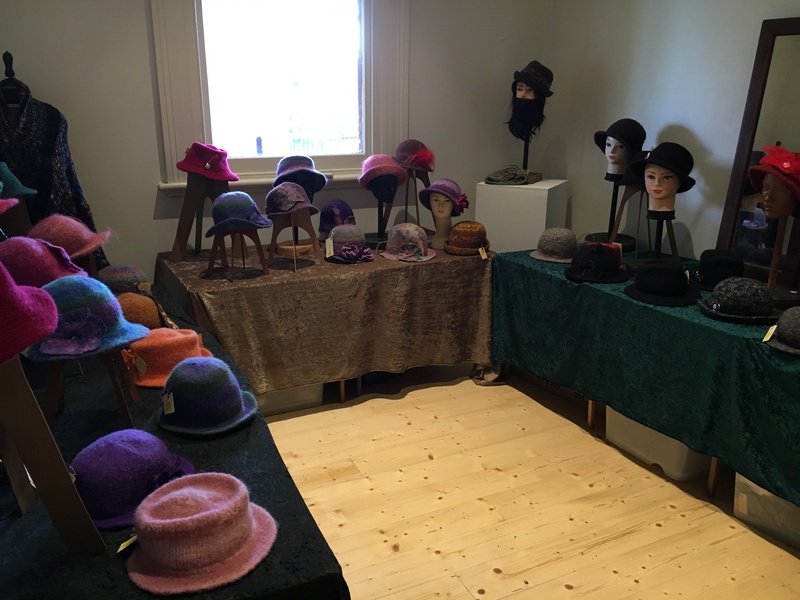 Over the three weekends, we averaged around 100 visitors per weekend, with many offering support by joining the Friends of the Newstead Arts Hub. Are you a local artist who would like to exhibit your work? Or join together with other artists to stage a group show? Perhaps the railway building would be a suitable venue for your activity, ranging from workshops, to creative space or music rehearsal. The venue is a quiet, light-filled space that may equally be appropriate for small conferences, study, writing or sketching groups. Alternatively, you may have a suggestion for an activity you’d like to see happen. Meanwhile, our next exhibition will display the natural history photography of Curly Hartup, opening Saturday 10th October at 3pm.